Everett Stoddard - "Rev. Ev." Our pastor, Everett Stoddard, a native of East Liverpool, OH., is a graduate of the Duke Divinity School Course of Study and an Associate Member of our East Ohio Conference. He and his wife, Melissa, are blessed to have two daughters, who with their husbands, each have a child. Rev. Ev. began appointed ministry at Living Hope UMC in Norton, and has also served at Prairie Chapel UMC in Coshocton and Collins/West Hartland UMC near Norwalk, OH. His life verses are Proverbs 3:5-6. A graduate of Kent State University, he has also been a newspaper editor, a sales manager, and public relations manager of his own firm. He enjoys dating his wife, bicycling, backyard bird feeding, going to movies and live entertainment, watching sports and a bit of "geocaching." 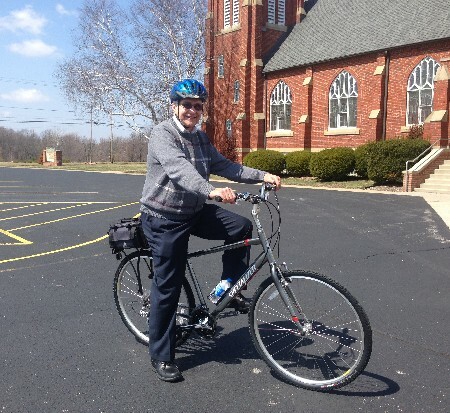 His calling to ministry was most especially encouraged through a Walk To Emmaus experience - East Ohio Emmanuel Emmaus - and his walk's key verse: Galatians 2:20. He enjoys mentoring/coaching others to recognize their gifts, knowing that God doesn't call the equipped. Instead God equips the called to bless others. 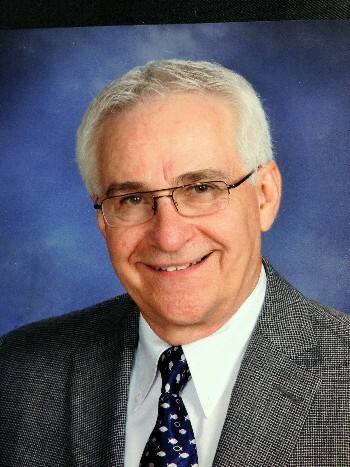 He is the president-elect of the Fellowship of Associate Members and Local Pastors of the East Ohio Conference of the United Methodist Church. John Wesley challenged followers of Jesus Christ to, "Do all the good you can; By all the means you can; In all the ways you can; In all the places you can; At all the times you can; To all the people you can; As long as ever you can." Rev. Ev. says, "I praise God for the unmerited grace God continues to pour out to me and all whom God loves - and God loves us ALL! I live for worship. I believe small group ministries are the key for the development of disciples, and I seek to be a servant-leader, encouraging others to join in always giving our best to the Master."